The RGMC meets once a Month. We have a special event that is published in our monthy newsletter, "Pony Tales". Our telephone committee contacts everyone to remind members of events and get a head count. RGMC dues are $24.00 per year. 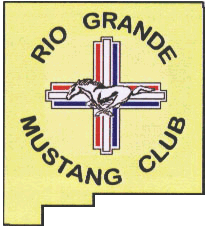 RGMC is a regional member of the Mustang Club of America. Dues for MCA have changed and have three tiers available! ​Dues for the MCA are $25, $35 or $50 per year (12 month period from joining) depending on which membership level you choose. 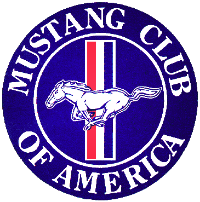 The MCA helps sponsor our annual car show. After paying your initial MCA dues to the RGMC treasurer, your annual renewal must be paid directly to the MCA. Note: MCA dues are payable annually based on the month you join. There is no reduction in dues for multi-year payment except for Standard Membership where the cost is $50, $95, $140, and $200 for 1, 2, 3, and 4 years. If you pay $200 for 4 years you get the 5th year free. Also, you may submit a contact form on our Contact Us page for more information!